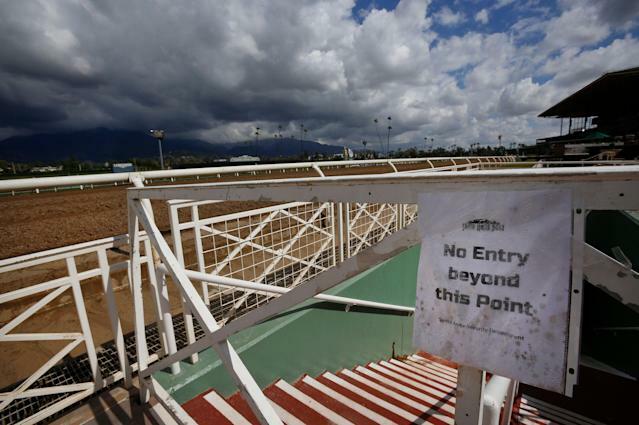 Another horse is dead after running at the Los Angeles-area Santa Anita Park race track. 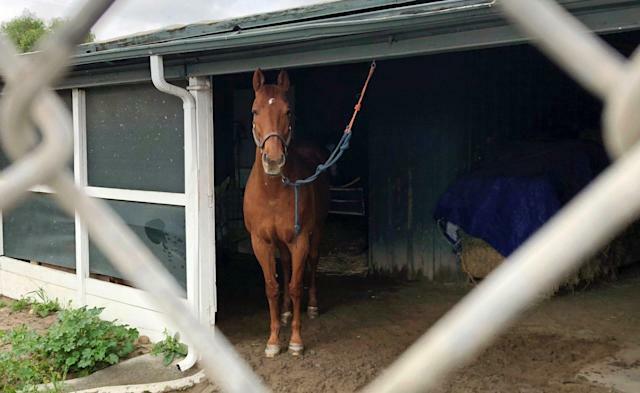 A 3-year-old named Princess Lili B broke both of her front legs while working out on Santa Anita’s main dirt track on Thursday. She was euthanized following the injury. "She was always very sound and we've never had a problem with her," Bernstein told KTLA. "We didn't have to train her on any medication. She's just a lovely filly to be around." Princess Lili B’s is the 22nd horse death at Santa Anita since the racing season started on Dec. 26. Santa Anita closed its track on March 5 to install safety measures after the alarming death toll in such a short period of time. It reopened Monday for limited workouts ahead of a planned return to racing on March 22. The Los Angeles Times reported in February that the spike in deaths this season has Santa Anita well ahead of the pace that saw 44 horses die during the entirety of last year’s nearly seven-month season. As of Feb. 10, 16 horses had died this season at Santa Anita compared to seven at that point last season, according to the report. The Times also noted that last year’s death toll of 44 horses marked the safest season for horses in 25 years at Santa Anita. Thursday’s death prompted track owner The Stronach Group to ban the use of medication and whips on racing days. The Associated Press reports that the bans will be the first of their kind in the nation. "What has happened at Santa Anita over the last few weeks is beyond heartbreaking," TSG chair and president Belinda Stronach wrote in a statement. "It is unacceptable to the public and, as people who deeply love horses, to everyone at The Stronach Group and Santa Anita. Lasix is an anti-bleeding agent frequently given to horses before races. It is believed to increase performance in horses while leaving them susceptible to dehydration, muscle failure and collapse, according to InsideScience.org. Its use is largely banned in horse racing outside of the United States. The statement also addressed a ban on jockeys using riding crops — or whips — in favor of a cushion crop for corrective measures. Cushion crops are believed to be less painful for horses. “While we firmly believe our jockeys have not purposely been mistreating their mounts, it is time to make this change,” the statement reads.